When you are in a medical situation that requires your best assessment of a patient, which stethoscope would you want in your hands? Of course different types of assessment call for different levels of auscultation device, but the fact is you should use the stethoscope that works for you and at the level you need. You want and need the best stethoscope for the best results. Your stethoscope is an investment in your career, but finding the best stethoscope for you takes time and the right information. Reviews from other medical students and professionals can help. This site was developed to arm other medical professionals with accurate and informative stethoscope reviews and other helpful resources. hanging on Dr. Gregory House‘s neck and on the scenes of other popular hospital dramas like E.R. Although it’s one of the most recognized stethoscopes, it may not be the best stethoscope for you. That’s because all stethoscopes use the same general principles of auscultation, but different levels of stethoscopes are designed for different functions. A nursing student or EMT probably won’t need the same quality of sound as a cardiac specialist, for example. Some stethoscopes are designed particularly for a specific type of practice, such as pediatrics or cardiac care. For example, our #6 rated stethoscope works very well for blood pressure and general assessment, and it’s a very good value for students or first-line responders on a tight budget. Our brief stethoscope reviews below and our comparison chart that follows will walk you through the best stethoscopes available on the market today and ranks them from 6 (lowest) to 1 (highest) based on our research. Armed with this informationyou’ll be able to make an educated decision about the best stethoscope for you. 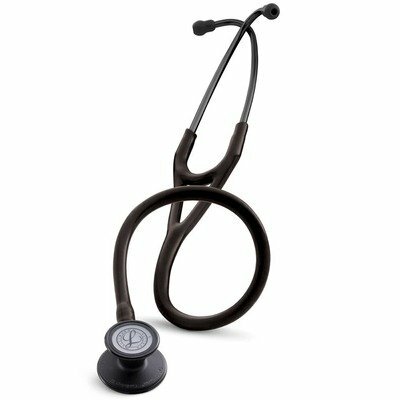 Our stethoscope reviews are aggregated from numerous sources, including the manufacturer’s information, stethoscope reviews from sites such as Amazon and other retailers, and from actual discussions with co-workers and fellow students who each have their own opinions about what makes the best stethoscope. 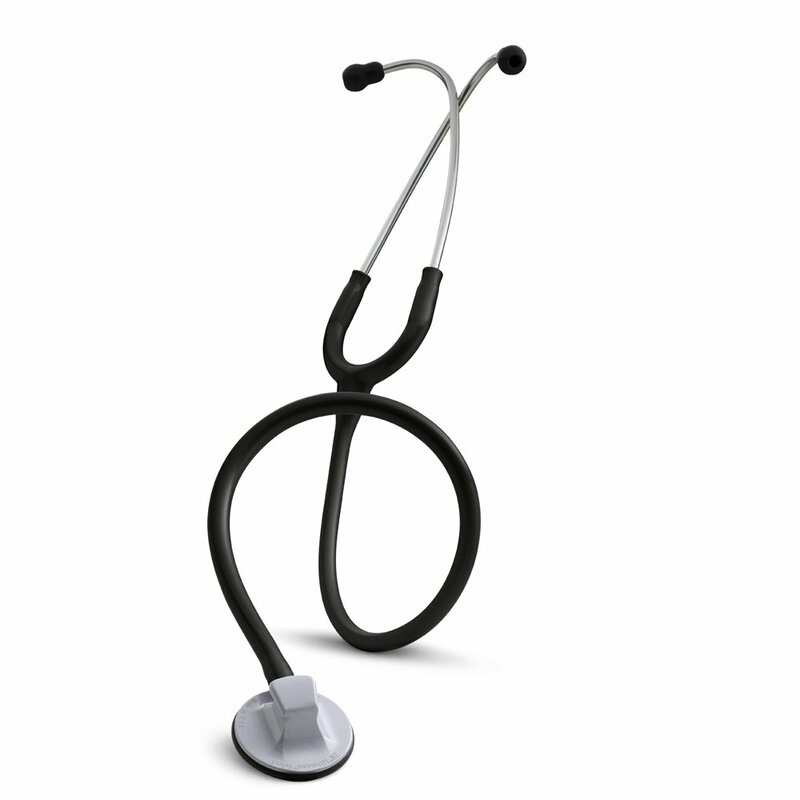 This entry-level stethoscope comes in at number 6 on our chart. Students and entry-level professionals appreciate the affordable price of the Lightweight II S.E. This is one of the the lightest Littman stethoscopes, at only 118 grams. It is designed to work well for blood-pressure and basic physical assessment. One of the benefits that owners most enjoy is the double-sided chestpiece with a unique tear-drop shape for use under a blood pressure cuff. The sound frequency can be easily adjusted by simply applying more pressure. It is 28 inches (71 cm) long for ease of reach. It features snap tight soft-sealing eartips so that it stays comfortable in your ears. Plus it is latex-free and comes in a variety of colors besides black. 3M’s suggested price is $57.67, but Amazon has it available starting at $44.00 (24% off) at the time of writing this. It comes with an automatic two-year warranty, making it a great value for those on a tight budget. The Littmann Select is comparable in value to the Lightweght II S.E. It is also designed for blood pressure and limited physical assessment. The main difference is that instead of a double-sided tear-drop chestpeice, it has a one-sided round one. For those who want a simple, straightforward stethoscope without the bells and whistles, this is the one. The Select model is easily portable, coming in at 28 inches and 115 grams, the same length but 3 grams lighter than the Lightweight II S.E. It is tunable with a simple pressure adjustment of the chestpiece against the skin, alternating from bell to diaphragm mode . The chestpiece is is made of a durable coated alloy. The tubing is single-lumen and available in plenty of colors, so you can pick the one that suites you. 3M’s list price is $57.67, but it’s available on Amazon at $43.00 (a 25% savings) at the time of writing this. The two-year warranty means that you will get your money’s worth out of it without having to worry about dependability. The sound quality of the Classic II S.E. is slightly increased for better physical assessments and diagnosis. It has a round, two-sided chestpiece made of machined stainless steel. The headset, like all Littmann stethoscopes, is made of a durable aerospace alloy. The Classic II S.E. is still easily portable with a standard length of 28 inches (71 cm) and weighing in at only 125 grams. The tunable diaphragm is non-chill and offers patient comfort during assessments. The anatomical headset is designed to meet the ear canals in in the most comfortable and tight seal possible for the best auscultation. Overall, this is a great stethoscope for those who want quality without spending a fortune. This is Amazon’s best selling stethoscope, with a list price of $100.58, but available on Amazon for $67.55 (33% off) at the time of writing this. Plus, it comes with a 3-year manufacturer warranty. The Master Classic II is the top “Classic” stethoscope offered by 3M and provides an even better sound quality on the performance scale than the Classic II S.E. It is perfect for physical assessment and diagnosis with a comfortable non-chill rim and diaphragm. Like all the non-electronic Littmann stethoscopes, it has a tunable diaphragm that allows for high and low sound differentiation with a simple change in pressure against the patient’s skin. The Master Classic II is a bit sturdier and stouter, with a total weight of 155 grams and coming in at 27″ (69 cm) in total standard length. The single-sided round chestpiece is plated and polished alloy. The headset is designed for comfort and a tight seal in your ears while taking assessments. 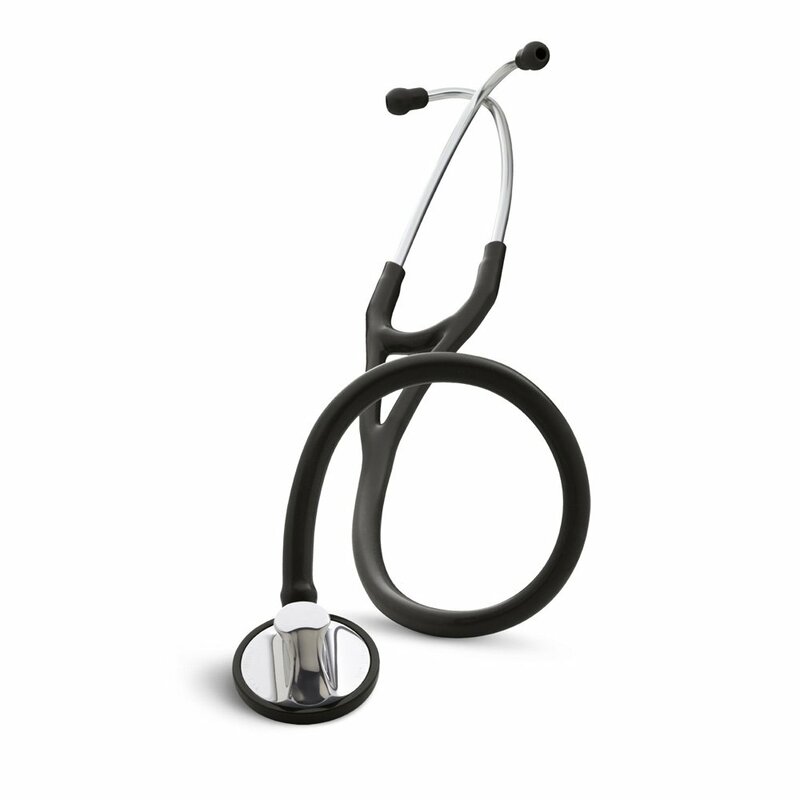 Like the other Classic stethoscopes, 3M Littmann provides a 3-year manufacturer warranty on the Master Classic II. The list price is $139.33, but it’s only $92.94 (33% off) at Amazon at the time of writing this, so you’ll get a great deal and great service. Littmann raised the bar with the Cardiology III. This stethoscope is the most popular non-electronic device among cardiologists, physicians, nurse practitioners and PAs. It offers top auscultation performance with two tunable diaphragms: a larger side for adults and a smaller side for pediatric patients, carotid assessments and easy maneuvering around bandages. The pediatric side can even be converted to a traditional open bell by removing the diaphragm and placing on a non-chill sleeve. One very nice feature of the Cardiology III is the double tube design, a two in one dual-lumen feature that eliminates noise interference. 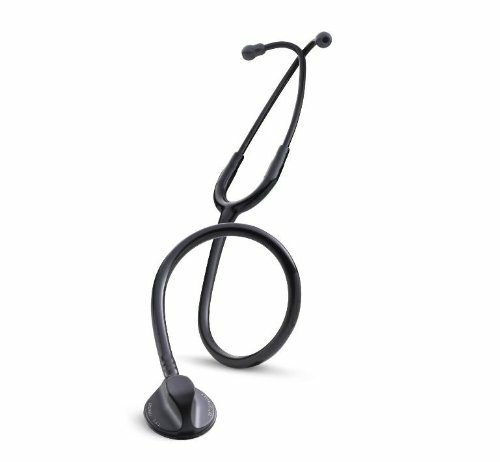 Depending on the features you pick, this stethoscope has a 22″ and a 27″ model which weight 165 or 175 grams respectively. The chestpiece is machined stainless steel and the comfortable headset, like all Littman stethoscopes, is made of a durable Aerospace alloy. Littmann backs up the quality of all their stethoscopes, and the Cardiology III is no exception: it comes with a 5-year warranty for years of worry-free use. The list price is $220.00 but you’ll save $75 bucks by picking it up at Amazon for $151.39 (27% off) at the time of writing this. This is one of our favorites, coming in at second place on our lineup. This is Littmann’s best stethoscope for Cardiology and high performance clinical settings and receives a 10 out of 10 rating by Littmann for sound quality. Unlike the Cardiology III, the Master Cardiology has a single-sided chestpiece design made of rugged stainless steel. A “special procedures” adapter can be added to the chestpeice for neonatal and pediatric auscultation. The headpiece is ergonomically designed for comfort and tight fit. The Master Cardiology gets high points from users for design quality, both in practical use and for the beauty of the stethoscope. This is a sturdy instrument: the 22″ model weights 175 grams and the 27″ comes in at 185 grams. Like most of the Littmann line of stethoscopes it is available in a wide range of tubing colors. With so many available options, this stethoscope definitely makes a personal statement in the exam room. The Master Cardiology has the best warranty of all the 3M Littmann stethoscopes, at 7 years. It also has the highest list price of $249.08. You can save up to 30% on Amazon, where it’s available for $174.39 at the time of writing this. The stethoscopes above are all great options because, for the purpose of our top stethoscopes, we’ve chosen to feature only the Littmann brand. Dr. David Littmann revolutionized the design of stethoscopes in the 1960s, and Littman has been the best stethoscope brand since it was purchased by 3M in 1967. There are other brands featured in reviews on this site, but for now let’s dig in and focus on the top 6 Littman stethoscopes above. One quick note about prices: all the prices below are taken directly from Amazon and were accurate when this post was published. Keep in mind that Amazon prices change from time to time to reflect special promotions, availability and market conditions. In general, though, these prices should be accurate to within a few US dollars and will give you a good idea of where each stethoscope fits in the pricing scale. Also, reviews and ratings on Amazon change from time to time. Our information reflects what we found at the time of writing this article, and will be updated from time to time to reflect changes in information and ratings. Rank: This is our combined rank given based on a combination of all the stethoscope’s features. This column counts down to our number-1 rated best stethoscope. Name: The brand and official name of the stethoscope. On this chart we only list Littmann brand stethoscopes; we’ll explain why further down. Click the name to be taken directly to it’s brief summary lower on the page. Acoustics: This column ranks the acoustic quality of each stethoscope on a scale of up to 5 stars. More stars means better acoustics. Value: This column takes into account the average available price of the stethoscope compared to all the features it offers. Overall: A star value given from 1 to 5 based on all available data we have researched on each stethoscope. This is similar to rank but offers a visual representation. * Hover the mouse over any star rating to get a more detailed breakdown of that particular rating. Our comparison chart gives you a quick breakdown of our top stethoscope picks, but we understand that you might need more information than a simple chart. With that in mind, more specific details about our best stethoscopes are available above. You’ll find pictures, key features and more information about the specific usage areas for each stethoscope. Littmann is not the only name in stethoscope manufacturing, and there are certainly other quality stethoscopes out there that are made by other brands. 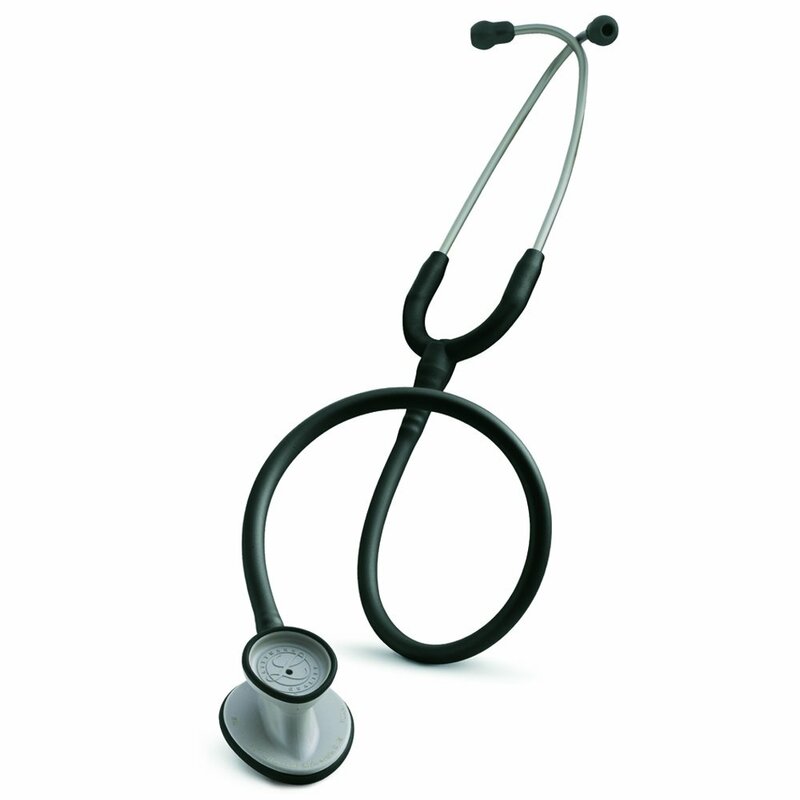 Prestige, MDF and ADC brands do sell a lot of stethoscopes. We’ve found, though, that nothing compares in quality and acoustics to the Littman line. Littmann was the first in the business to make a quality, practical stethoscope and they continue to make the best stethoscope in the business since being acquired by 3M. You may save money purchasing another brand, but if you are picky about quality, including great warranties, Littmann is the only way to go. There are other Littmann stethoscopes, including electronic models, and all of them are very good products. In fact, we’ll feature them in a future posts on the site. Our goal on this page is to give an overview of the best stethoscope from each of several practice areas. Everybody has their own idea of what makes the best stethoscope. Preferences vary from color, capability, weight, length, price and other features. Often the best way to pick your stethoscope is to decide what features are important for you. Then see what the highest selling stethoscope in that category is. 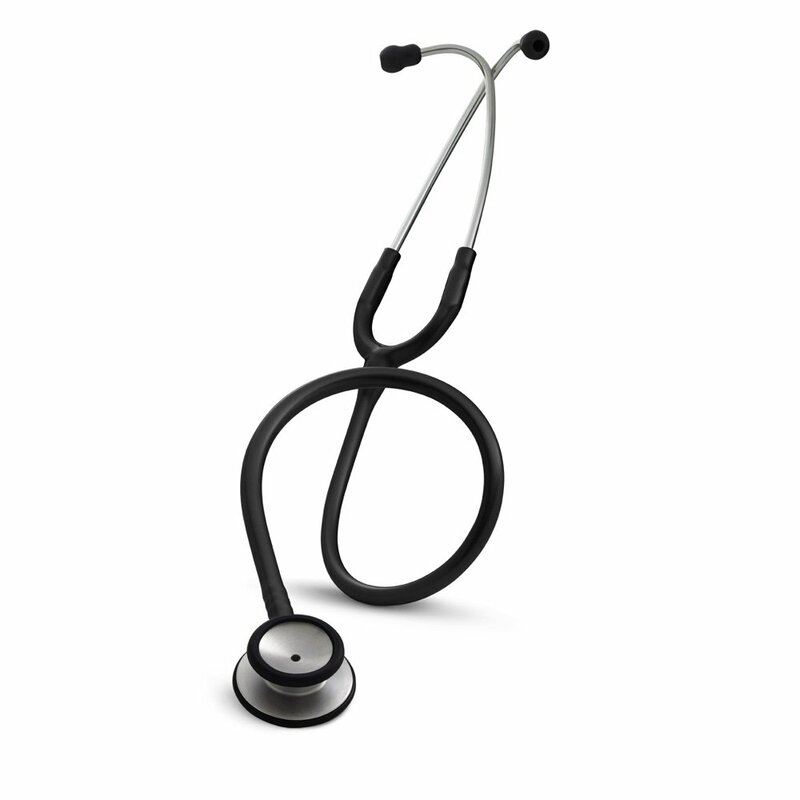 Generally speaking, the stethoscope that has a lot of reviews and averages a high rating is going to be your best bet. This is why we recommend buying from an online retailer like Amazon, where you can compare all the features and see all the reviews that have been voluntarily left by others who have purchased and used a particular stethoscope. The number of reviews is a good indication of how many times that stethoscope has been purchased. In our Best Stethoscopes Chart above, we’ve listed the total number reviews on Amazon that had been left for each stethoscope at the time of writing this article. We try to keep that number updated, but it’s likely that there are even more stethoscope reviews now. Popularity isn’t the only criteria, though. An average high rating is important, but every stethoscope will have low ratings and it’s also a good idea to read those too. Negative or low reviews will give you an idea of certain aspects that you might not have considered but that could be important in your buying decision. So don’t ignore the one and two star ratings on Amazon, but do take them with a grain of salt. Some people leave low stethoscope reviews because they had the wrong expectations about the stethoscope they purchased and it wasn’t the best stethoscope for their needs. Don’t let let an occasional low rating dissuade you. As long as you educate yourself about what to expect and as long as the majority of the stethoscope reviews are on the high end, you should have a positive experience. Our goal at Best Stethoscope Reviews is to provide a really helpful resource for those who are in the market to purchase a new stethoscope and are looking for the best stethoscope for their own needs. So we spend a lot of time researching the best stethoscopes available today, comparing reviews on lots of sites across the Internet and bringing as much of that information as we can back here for you. But we’re only a 2-man (husband and wife) team and this isn’t a full time gig for us. Want to know the best stethoscope for nurses, doctors, students, respiratory therapists, veterinarians or EMTs and paramedics? Click here to find out what we recommend for several professions. And, if you have hearing problems that make your job more difficult, read our suggestion about stethoscopes for hard of hearing professionals. We’ve done our best to present helpful stethoscope reviews about the best stethoscopes available. If you appreciate our work here at Best Stethoscope Reviews, please help us out by purchasing your new stethoscope through one of the links on our site (at no extra cost to you!). Also, please leave a comment below and let us know what you think the best stethoscope is and why. And be sure to share this site with your colleagues and fellow students. Thanks, and we hope Best Stethoscope Reviews is helpful in your search to find the best stethoscope for you.